The EU must support democratic principles. "Has it been hand-picked by a government who says ‘we have hand-picked you and this is what you are going to do?'" The suspension of an elected government is an attack on democracy in Europe. It's also against EU interest to promote violence and silence democratic claims. The EU must prevent the violation of rights of any of its citizens. 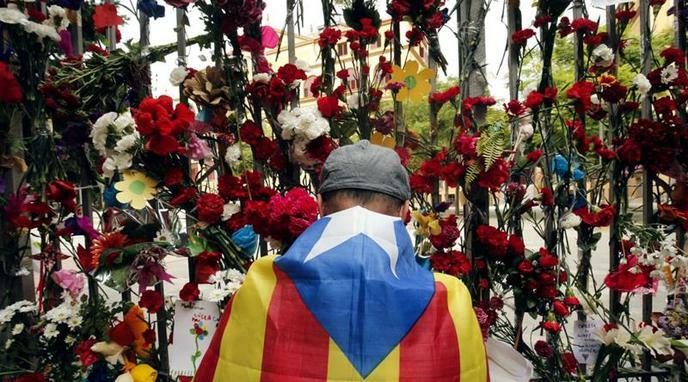 It is unclear if the actions of the Spanish government were per se undemocratic. The EU supports the democratic principles practiced within each of their members. The Catalonia situation is not a democratic claim. The EU is not a supporter or defender of liberal democracy so intervening in support of either side would only make it worse. To support democratic principles, the EU has to support and endorse the rule of law.